The Haldane Society of Socialist Lawyers invites you to join us at the next lecture in our human rights series on 6 December 2018 at 6.30pm. 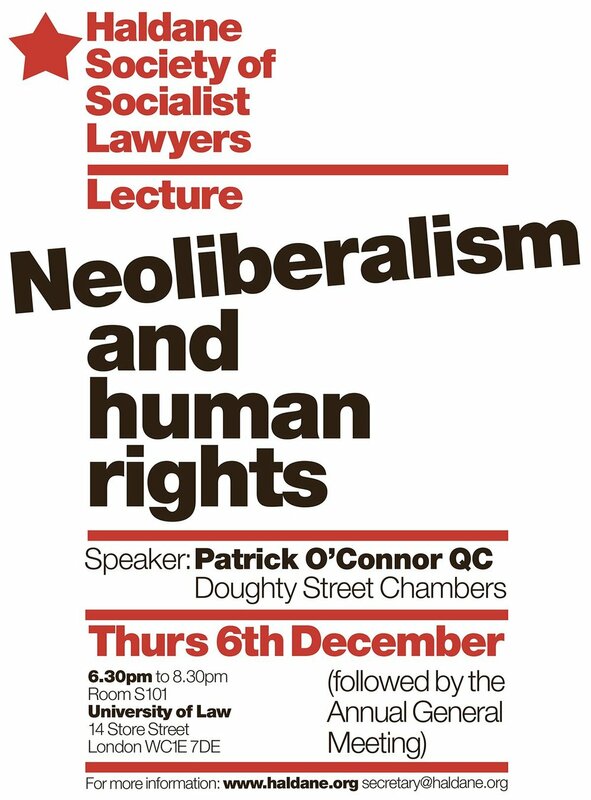 Our speaker, Patrick O’Connor QC of Doughty Street Chambers will be speaking on Neoliberalism and human rights. The lecture will be followed by our Annual General Meeting. The lecture is open to all, although the AGM is open only to members. Motions for discussion at the AGM, and candidatures for election, can be submitted up to 72 hours in advance of the AGM, or at the AGM itself. Latecomers are welcome to enter quietly.